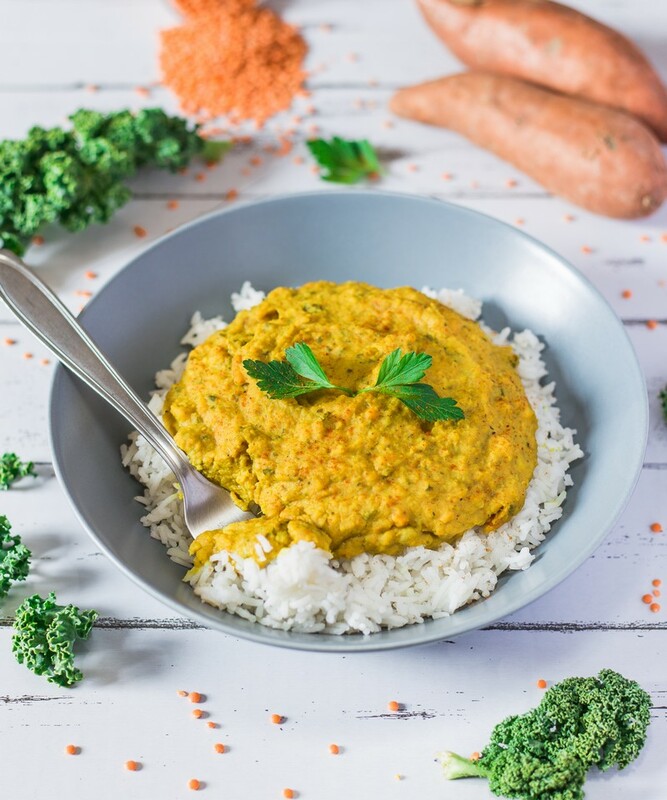 This Coconut Curry Lentil Dhal is made with only 10 simple ingredients and ready in no time! Healthy, vegan, gluten-free and oil-free! 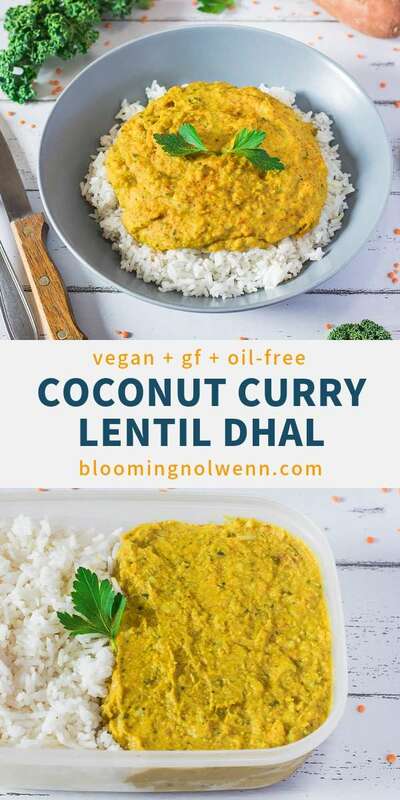 I wanted to make a coconut curry lentil dhal from the time I went vegan because I kept seeing those delicious-looking pictures that would make my mouth water every time. I don’t know why I have waited this long, it is honestly so good and easy to make! The coconut milk makes it super creamy and comforting. 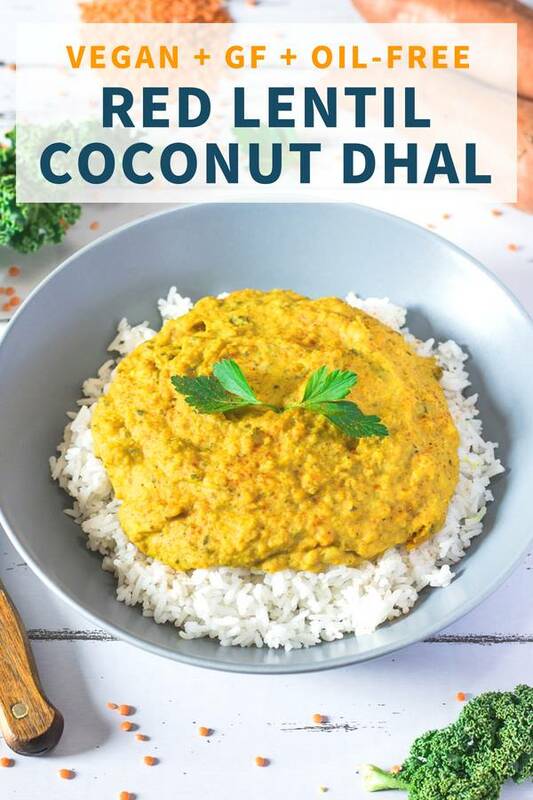 If you are like me and you love the taste of curry and coconut together, I highly recommend that you try this recipe out. 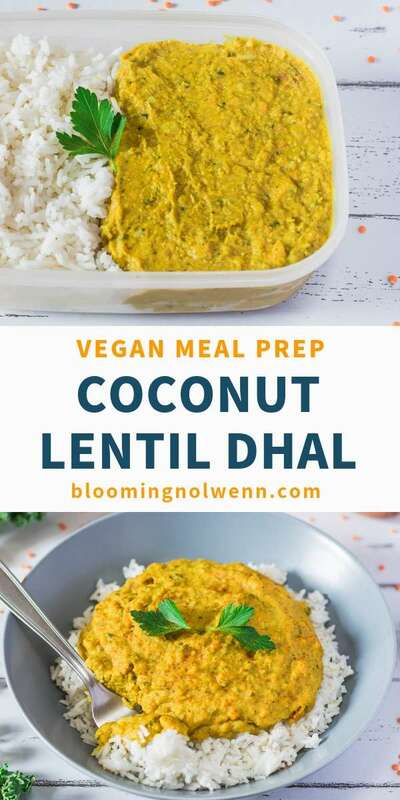 In India, “dhal” refers to legumes like lentils. 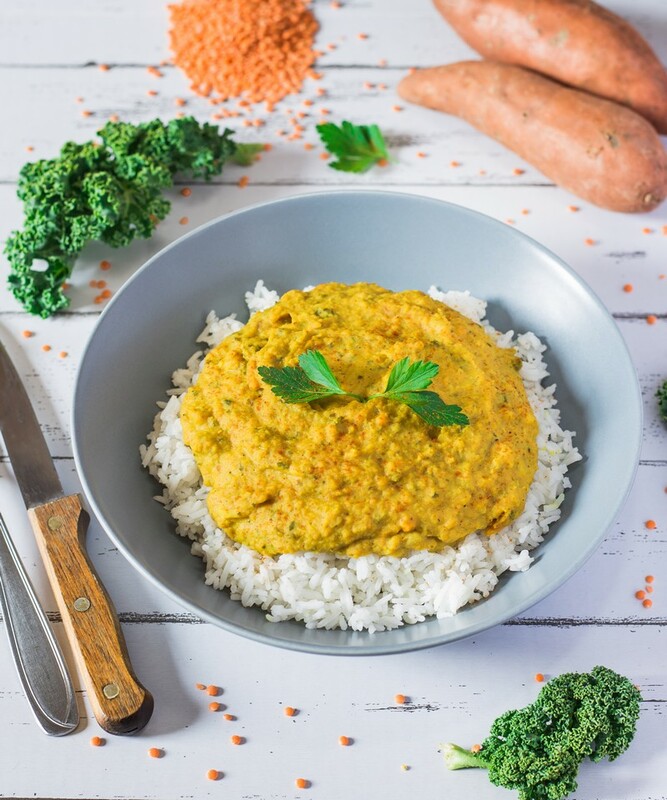 It is traditionally prepared with Indian lentils called chana dal, that look like split peas. 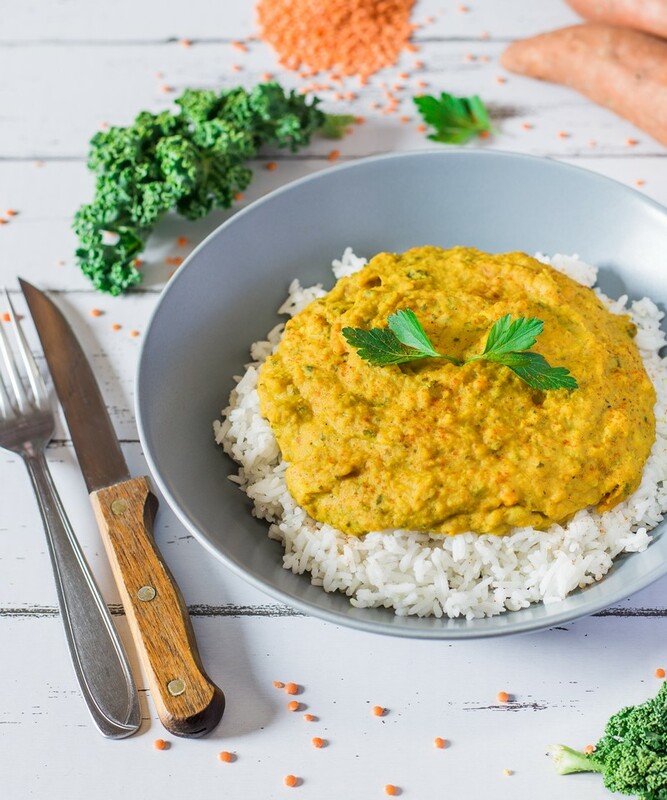 If you can’t find those where you live, you can easily substitute them with red lentils for example. 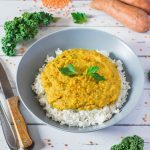 But you have to know that the texture won’t be exactly the same – unlike chana dal that stay a bit crunchy after cooking, red lentils turn into a thick puree. This dish keeps well in the fridge and can be enjoyed either hot or cold. 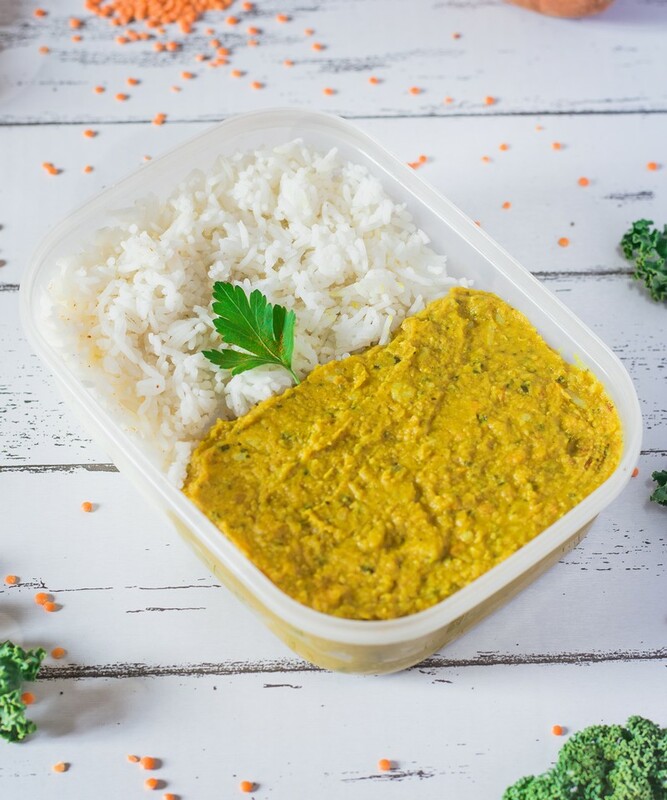 If you have leftover dhal, you can place it in a lunch box and take it with you to work. You may need to add a small amount of water to thin it out a little because it tends to thicken when cooling down. 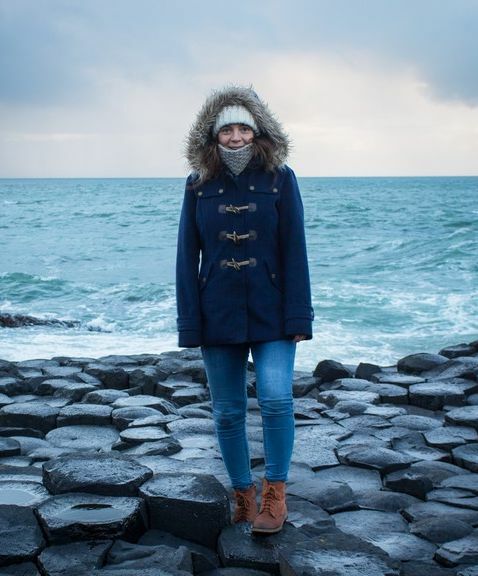 EDIT March 2019: My ebook is here!!! 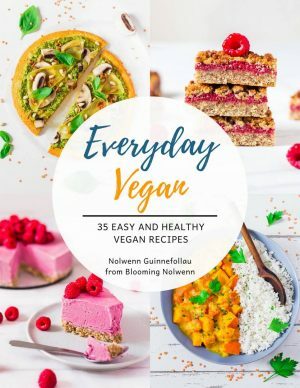 Get your copy of Everyday Vegan for delicious vegan, gluten-free, oil-free and refined sugar-free sweet and savory recipes! 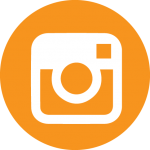 All of the recipes are easy to make and perfect for meal prep. Have fun cooking and baking! Chop the garlic, onion and fresh ginger and place them in a saucepan with a splash of water. Cook for 5 minutes. Add in the lentils and curry powder and sauté for 2 minutes. Add in the water and coconut milk. Dice the sweet potato, chop the kale and add them to the saucepan. Bring to a boil, then lower the heat to medium and put the lid on. Simmer for 15 minutes or until lentils and vegetables are cooked.